From its settlement in 1798 as a rugged New England farm, to the illustrious Montague Farm commune (1968-2002), to Zen Peacemakers (2002-2011), 177 Ripley Road seems to inspire magic. Its legacy is multifaceted: community building, spirituality, art, environmentalism and activism. 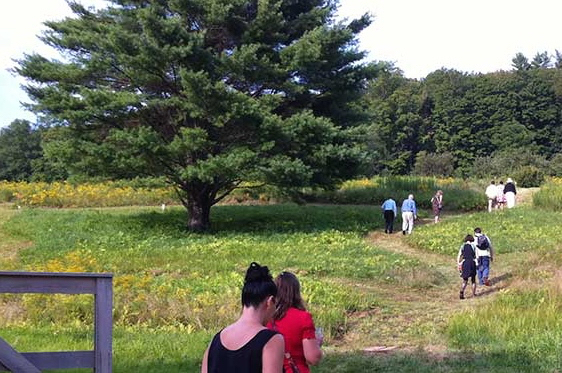 Montague Retreat Center's mission is to extend that legacy by making this unique place available to the public for private functions, workshops, cultural events, and, ultimately, overnight retreats (corporate as well as educational). The long-term building plan calls for 54 guest beds, with the first 20 due for completion in 2016. Nestled in the forested hills of Western Massachusetts on 34 acres of gardens, orchards, pastures and woods, Montague Retreat Center borders thousands of acres of wildlife management area, providing ample opportunity for deep relaxation and connection to the natural world. The bubbling waters and birdsong add a magical atmosphere to any event. Montague Retreat Center combines all these unique offerings: majestic land, historic buildings and modern amenities. 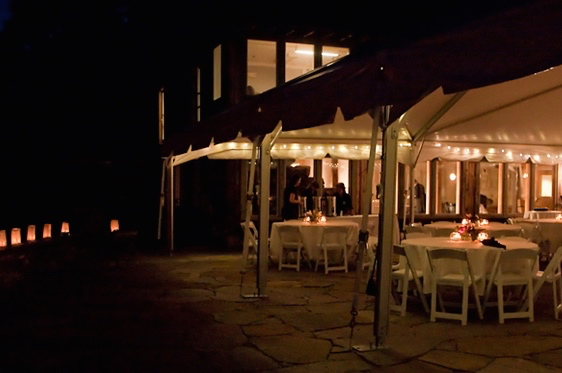 A 100 foot diameter circular space for ceremonies and outdoor events sit next to an old apple orchard and is framed by one of Massachusetts’ oldest maple groves. The conference center, a fully renovated barn built with chestnut beams in 1894, is currently available for day or evening use. The Main Level features the Great Hall, an elegant geothermal assembly space with bamboo floors, lots of glass and a large balcony. Also on the Main Level are two small rooms and a large suite. The Lower Level features a stunning new (tented) stone patio for outdoor functions, which seats 180. Also on the Lower Level is the Main Dining Hall, which seats 60, and a state-of-the-art commercial kitchen. There is a lift connecting Main and Lower Levels. 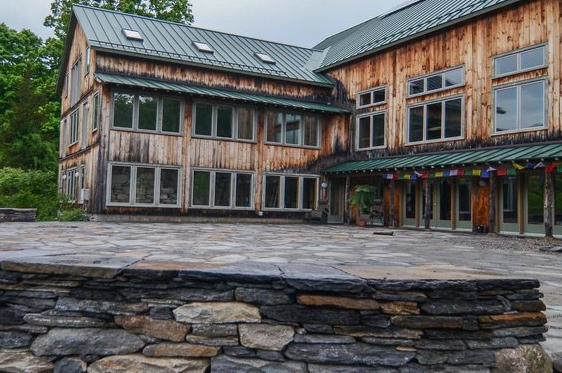 Montague Retreat Center has a unique vision of community building. We want to inspire retreats and events that not only provide meaningful content, but also foster local connections. We give you the opportunity to incorporate our community resources and vendors into your event, from an outdoor concert series with local artists to an onsite yoga instructor or herbalist, from a cook who uses wild harvest ingredients to a wildlife tracker who can bring you into the woods to glimpse a red fox or hear a bald eagle. Our vision is to offer, along with our unique space, the abundant gifts of Montague’s land and people.